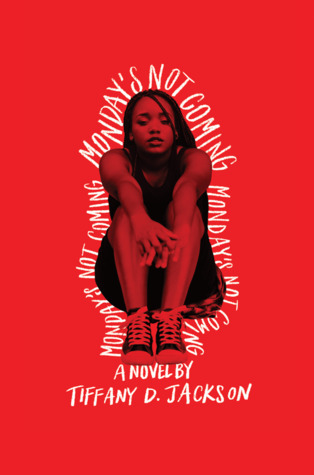 I’ll admit it: Monday’s Not Coming has been one of my most anticipated reads this year. I read this in a few days and I’m definitely giving this a solid 4 stars. The story begins when Claudia, the main character, returns from a summer vacation to discover that her best friend Monday Charles has not show up for their first day of eighth grade. No one seems concerned. Claudia’s parents caution her not to worry, but she knows better. After several weeks pass, Claudia begins to ask around about her friend. The school says she hasn’t registered. Monday’s mom says that she’s with her father, Monday’s sister says she’s with an aunt. The police also dismiss her concerns, labeling Monday as a probable runaway. Despite the setbacks, Claudia is more and more determined to find her best friend as the novel progresses. I loved the setting of this book, as well as Claudia’s character. Claudia resides in Washington, D.C., a city with predominantly Black residents. There are thoughtful explorations here of gentrification, the educational system, the child welfare system, as well as class tensions in Black communities. Go go music, the National Mall, and the Anacostia neighborhood are all very prominent “characters” here as well. I loved it all. Also memorable is Claudia herself, a very complex character. Monday is her only friend, but she represents way more than just a friend–she’s Claudia’s other half. Once Monday’s disappearance takes hold, Claudia’s dyslexia becomes more visible to those around her. She is compelled to take remedial tutoring, which she hates. Claudia also enjoys dance, but lacks the confidence to stand out. The execution of this novel has some problems, though. This is definitely one of those “down the rabbit hole” kinda books, where nothing’s a given and you’re gonna go through some hoops before you get to the Big Reveal at the end. The hoops here are four timelines that run parallel throughout the book, labeled “Before” (events before Monday’s disappearance), “After” (events after we discover what happens to Monday), “Before the Before,” and “2 Years Before the Before.” It’s confusing. I understand Jackson’s use of ambiguity here, but all of the various timelines and events made this a muddled mess. There is a twist at the end, but by this time I was so lost in the mire of the timeline that I have to admit that the only reason I didn’t skip pages was because I genuinely wanted to find out what happened to Monday. To tell you more about this book takes it dangerously into spoiler territory. It definitely shines for its fearlessness. It is one of the first YA books that I’ve read in which Black girl friendships are problematized and presented with the realness that they deserve. It is also one of the first YA books that speaks directly to the phenomenon of “Missing White Woman Syndrome,” the term first used by PBS News anchor Gwen Ifill to describe society’s tendency to treat the disappearances of young, affluent White women as media events with constant, around the clock national coverage, despite the fact that men, along with women and children of color, comprise the majority of missing persons cases. For Monday’s disappearance, no one joins a search party. Her picture is not in the newspaper. She’s not even on the nightly news. 4 stars. If you read nothing else in 2018, please read this. You don’t want to miss it.